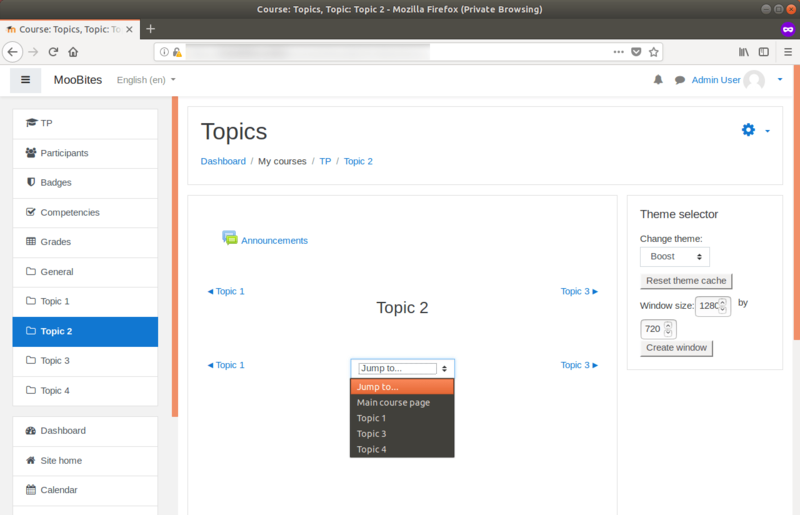 The setting in its current form was introduced by MDL-35770 in for Moodle 2.4 as a part of the course formats refactoring in MDL-35218. However the actual functionality itself (as far as I can tell) goes back all the way to the creation of the Topics format itself: github.com/moodle/moodle/commit/0b35af180a5ff45548f85147dac7cff9dcab263f#diff-dc0eaec66fd20683e1cdc96bfe8976a1R24 and then from the Weeks format github.com/moodle/moodle/commit/600149be34bf366a7dad7f2e9d8f089f3422aefb#diff-9b5704acbc9a40e82b130d34b4717caeR20 in version 1.0. It is perhaps the list of sections without content that causes the most confusion because the question ‘Where has all my resources and activities gone?’ arises when the setting is changed. 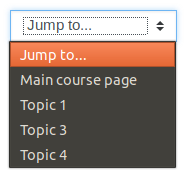 When the functionality changed in Moodle 2.4 I changed Collapsed Topics (CT) to follow suit, thinking that it would avoid confusion when moving to CT from a core course format. However, what to do with the linked sections page? There was no ‘content that needed to be toggled’ on the page, so why does there need to be toggles? The answer at the time was to remove the toggles. 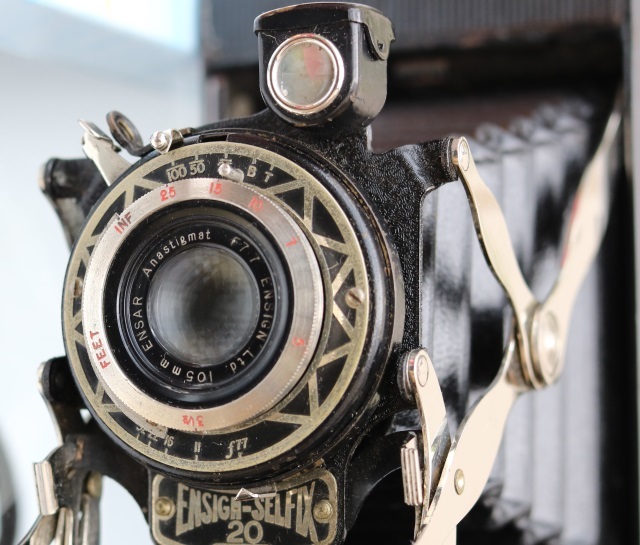 This unexpectedly caused confusion as now educators and users whom were expecting to see the toggles did not and compounded by that they were confused by the single section page. For years I did not have an answer or realised (despite tool-tip explanation and my help of the ‘Courses and course formats’ forum) what an issue it was. There needed to be a compromise, one that would allow the functionality to exist so that existing users whom need the view still have it and new users don’t get confused. and the confusing setting was removed. Note: the orange glow circle is to highlight the functionality here and does not exist for real. I have over time received mixed feedback about it, but there are in general less questions than before. At first this was removed when the new single section functionality was introduced. But even given the inevitable ‘fear of change’ factor that makes you want something back not because it is good but because it was familiar a discussion lead to a tracker (MDL-34917) which then put it back. For this there is no setting, but themes could if they wanted to, remove it. So why mention it here? Well, it demonstrates how something relatively insignificant can affect the user interface to change the dynamic of the interaction. Here I consider it changes the nature of the course layout setting to be from something restrictive to that of usable in the right context. Overall I have mixed emotions about the course layout setting. I know that Moodle tries to be all things to all people but the setting can be confusing. It has a dramatic impact on the look and operation of the course. This removes the familiarity that users expect, especially when the setting value is changed on existing courses. 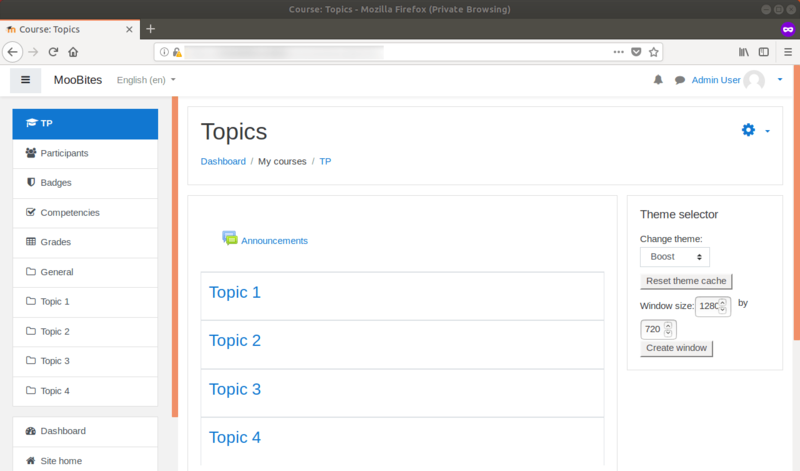 I can see why it is there and why splitting the functionality between different course formats would have duplication of concepts. But maybe, just maybe that is the way forward, separate ‘Topics’ and ‘Single Topics’ course formats. For the time being though, I recommend that you plan your courses first, decide on the value for the course layout for each course then stick with it and not change it.